The Monster Hunt Begins Now! Marshal your courage! The time has finally come to fight your way into the heart of the Witchwood in pursuit of the evil witch Hagatha! The Monster Hunt has begun! The Monster Hunt is The Witchwood’s new free, single-player mission content. You’ll take on the role of one of four veteran monster hunters who are venturing deep into the Witchwood on Hagatha’s trail. Each of these heroes (or anti-heroes as the case may be!) has their own favorite tricks—a special hero power or ability that you’ll need to master if you hope to survive the hunt. Each time you go on a Monster Hunt, you’ll attempt to defeat a series of up to eight monstrous bosses. With each victory, you’ll build a stronger and stronger deck with the items you find—though if you should fall, you’ll have to begin your hunt again with a fresh deck. The trail ahead won’t be easy—the forest is full of fiendish foes! Each hunter also carries a grudge against a particular foe they’ve crossed paths with before—a nemesis, if you will. These are unique bosses that only that hunter can track down to fight. You’ll want to go on a Monster Hunt with all four heroes because each offers a quest that, if completed, will earn you a The Witchwood card pack! Each quest completed will unlock the next quest in the series, but hunt swiftly—these quests are only available for a limited time*. If you can complete the Monster Hunt with all four hunters, you’ll finally have a chance to face off with the source of the evil in the Witchwood: Hagatha! 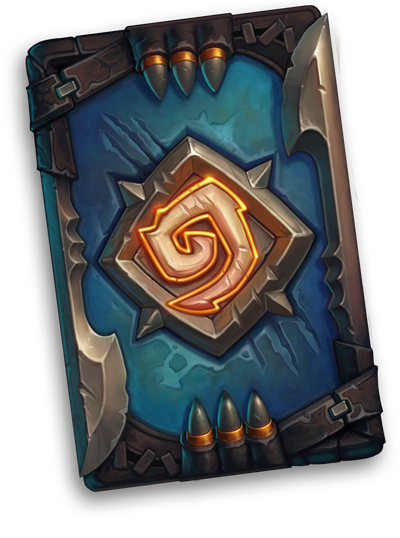 If you can defeat Hagatha with the power of all four heroes combined, and free the wood from her vile curse, you’ll earn the gratitude of Gilneas and the Monster Hunter card back! The Monster Hunt awaits! We’ll see you on the trail! *Special Monster Hunt quests will continue to be available until July 26.